These two MADs (mandibular advancement devices) made by Ripsnore and PureSleep both work with varying degrees of success. My wife and I slept comfortably while using the PureSleep but the bulky and ill-fitting Ripsnore presented a number of challenges throughout the night. You will need to make sure that the fitting process is done properly with both devices. Understanding a few important details about both devices will help you make an informed decision as to which is best for you. 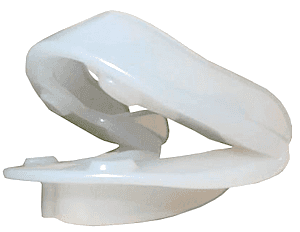 PureSleep arrives in two parts: one piece is fitted to the upper jaw and the other to the lower. After you determine the most comfortable fit, you will have to use the boil and bite method. The only drawback to this method is that it is impossible to adjust after you change it once, so you must take precaution to fit it correctly. This product is a little more difficult to clean than other MAPs due to the numerous crevices. 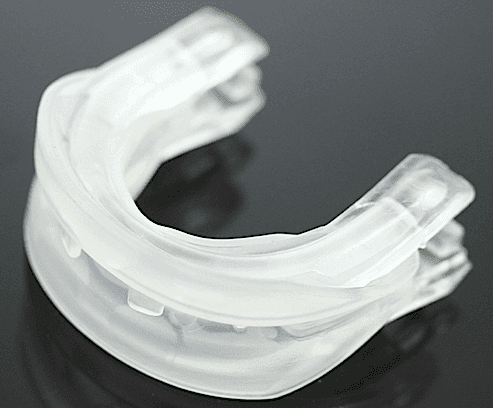 The ordering and shipping took much longer than most of the other anti-snoring devices I have tried. Before they allow you to purchase it, you have to fill out a 21-question form. I felt glad that that company seemed like it genuinely cared about my individual requirements and if I would be a good candidate for the product or not. I was a little put-off by the two-week shipping time. I knew how you only had one chance to fit this correctly so my wife and I made sure that we made all the right adjustments the first time. Most devices allow some minor adjustments later but the PureSleep is not as forgiving. The first night, the device worked really well and I only experienced a very slight soreness. My wife was not very pleased to wake up to a sore mouth also. However, after a few days, the soreness went away and my wife felt fine for the rest of the week. My teenager reported that he did not hear any snoring coming from our room when we used PureSleep. Despite the comfort and effectiveness, the cleaning process is a bit of a hassle. 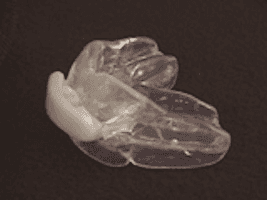 Comparatively speaking, this device took much longer to sanitize than similar snoring mouthpieces due to the customized design. Using technology that is more or less the same in all MADs, the Ripsnore forces the lower jaw forward in order to open your airway. Despite company claims, Ripsnore has not won approval from the Food and Drug Administration FDA, only the plastic that it is built from has. I had to wait longer than I did for most devices for the Ripsnore to arrive. The minute I opened the box, my wife and I could immediately tell that the mouthpieces were much too large. After three different attempts of doing the boil-and-bite fitting method, I finally got a good fit. My wife refused to wear the device at all because the bulky size kept making her gag each time she attempted to fit it. The first night did not go well for me. Due to the size and structure of the Ripsnore, it kept falling out of my mouth. When I could briefly get it in place, I drooled profusely. About every two hours, the Ripsnore fell out of my mouth. I woke up in the middle of the night, several times, to rinse it off and put it back in. My wife and I were both exhausted the next morning since I had to keep getting up and my snoring was not kept in check. The cleaning, at least, was easy but this advantage is negligible given the ineffectiveness of the product overall. 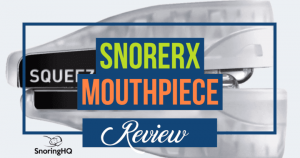 This stop snoring mouthpiece ended up a long way from my best anti-snoring device list. The biggest downsides to the PureSleeps are the fitting process and the cleaning. My wife would have been a lot happier those first few nights if she had been able to adjust it after the boil and bite like I could with the Ripsnore. The Ripsnore is bulky and uncomfortable however and simply did not work for us, look at my Zyppah review if you want a similar MAD that actually works. At least, however, the simple design of the Ripsnore meant that I had to spend less time than expected to clean it compared to the slightly more intricate PureSleep.